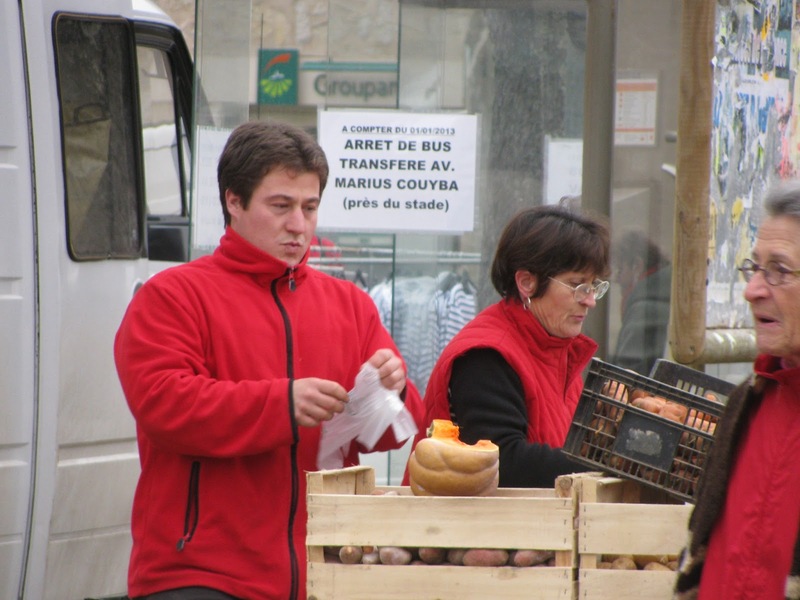 Most Saturday afternoons find me in Cajarc at the market. 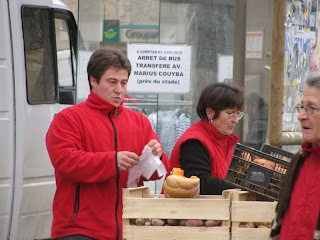 I buy my vegetables from Yannick and Jackie, my neighbors in Cadrieu. Today I bought potatoes, 2 small heads of romaine, half a dozen small leeks, and two hands-full of Brussels sprouts for the equivalent of a bit over $3. Yummy good flavor and inexpensive.